Life happens. Whether it's taking a break for health reasons, supporting family members, having children, or for a variety of personal reasons, having a gap in your CV used to be seen as a disadvantage. 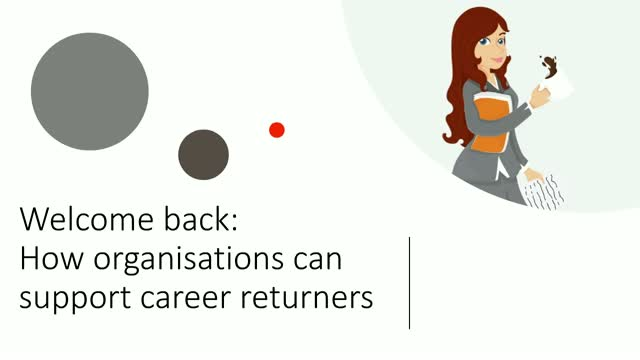 Now, many organisations are committed to supporting individuals returning to the workforce as career returners are largely seen as an untapped resource of skills and knowledge. Looking for new ways to uncover top candidates? This exclusive crash course, explores sourcing hacks and proven tactics to find, engage, and hire the perfect candidate, fast. LinkedIn talent Solutions enables HR and TA professionals to use data and insights to make people their competitive advantage.